Watch a video following the production of a book from platemaking to casing in. Gomer Press specialise in book printing and binding. We can run full colour, two colour and mono books with cased hardback binding and limp binding as well as lamination and foil blocking all in house. We have an increasing number of trade-binding clients taking advantage of our specialised bindery services. – Casebound books with ribbons, head and tail bands, foil blocking and a range of other special finishes. We section sew in house but we are also able to case bind perfect or notch bound bookblocks for short run digital jobs. This means even short run case bound titles can be produced cost effectively. – Softback books either section sewn or perfect bound. – Leaflets, booklets, magazines, journals, catalogues and brochures. Through our Carmarthen office we also offer stationery, letterheads, compliment slips, business cards, NCR sets and the full range of commercial print. 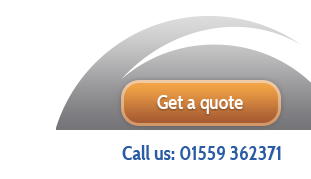 You can request a quote through the form on this site, or contact us to discuss your requirements in more detail.